VoIP for Small Business – Is it just Hype? Running a small business is full of challenges not least of all finding the right communications solution. Voice over internet protocol (VoIP) systems for small businesses are touted by many as offering an excellent compromise between functionality and affordability. But is it accurate? Here is the truth behind the hype. 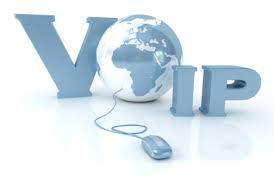 VoIP is incredibly functional – Basically, VoIP allows a company to use the Internet to make phone calls. The technology is transparent to both the caller and the receiver. In addition, VoIP can be used for other ancillary tasks performed by traditional phone lines such as security monitoring. VoIP has the added benefit of being able to store captured data in the cloud as opposed to on a physical drive. It is also exceedingly reliable – The infrastructure for VoIP is as reliable or better than traditional phone lines as it has multiple redundancies – more than phone lines, in fact – built into the system. In addition, the monitoring of a VoIP infrastructure is essentially continuous so any breakdowns are identified and repaired more quickly.